TrishyB says: 33: it's family, innit? 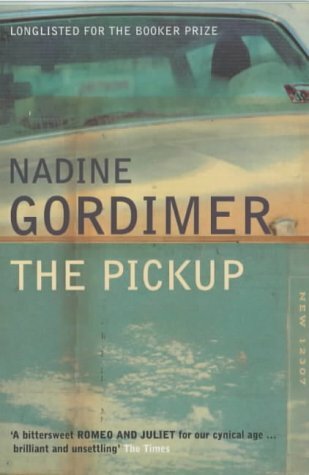 Nadine Gordimer's The Pickup is billed on the back as a Romeo and Juliet story for a more cynical age. More cynical than an age where women were married off at the age of thirteen to improve their family's social standing? Really? Never mind that though. This isn't really a love story, is, I think, what that reviewer means. It's a story of two people using each other for the sake of convenience. In his case to get a residency visa for South Africa. In her case to get some cachet. Either way, they both get a lot more than they bargain for. It's a book about politics and religion, sure. But it's also a story about families changing and adapting and being more than you thought they could be. Highly recommended. Doesn't outstay its welcome either. 32: Hey! Rome's full of rude Italians!